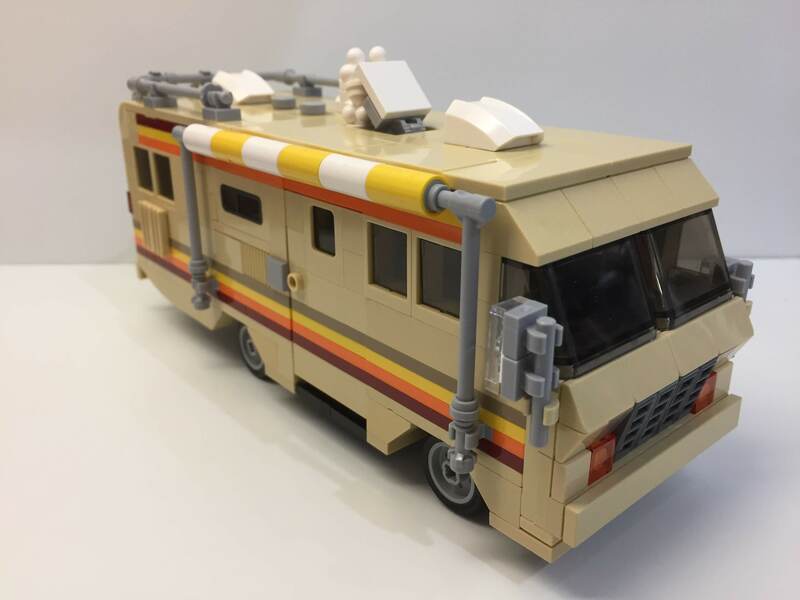 This is my creation inspired by the iconic RV from the hit television series. 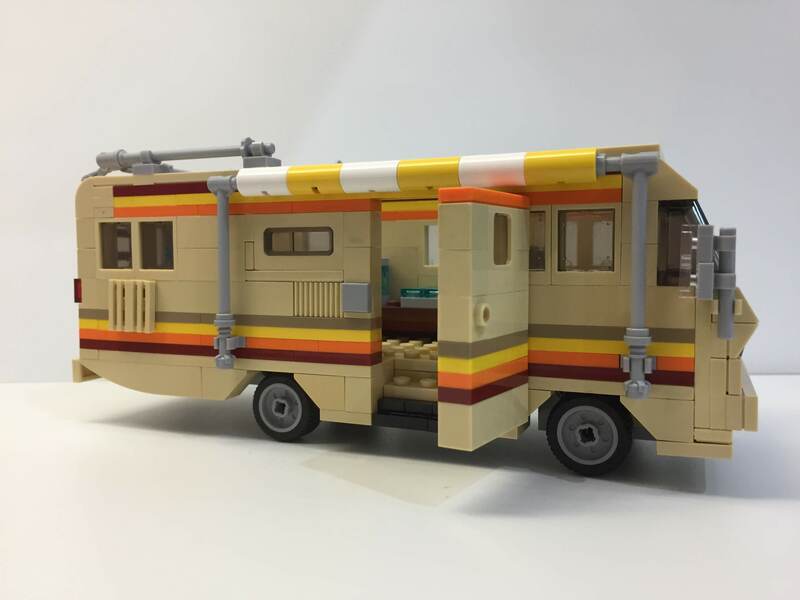 The Fleetwood Bounder, better known as the RV, was a recreation vehicle and motorhome that served as a mobile laboratory in which WW and Jesse cooked methamphetamine. Jesse nicknamed the RV "The Krystal Ship." 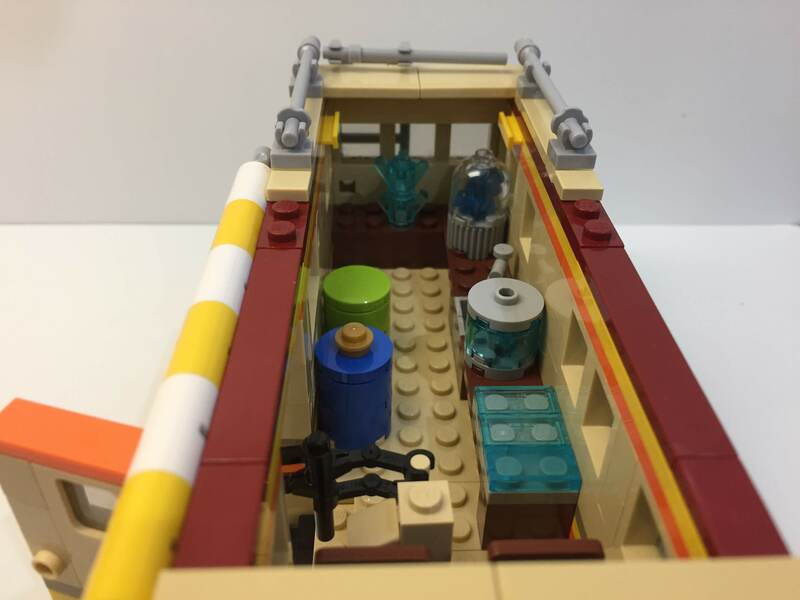 The model includes detailed interior, and has detachable roof and an opening side door. You can also buy instructions only.